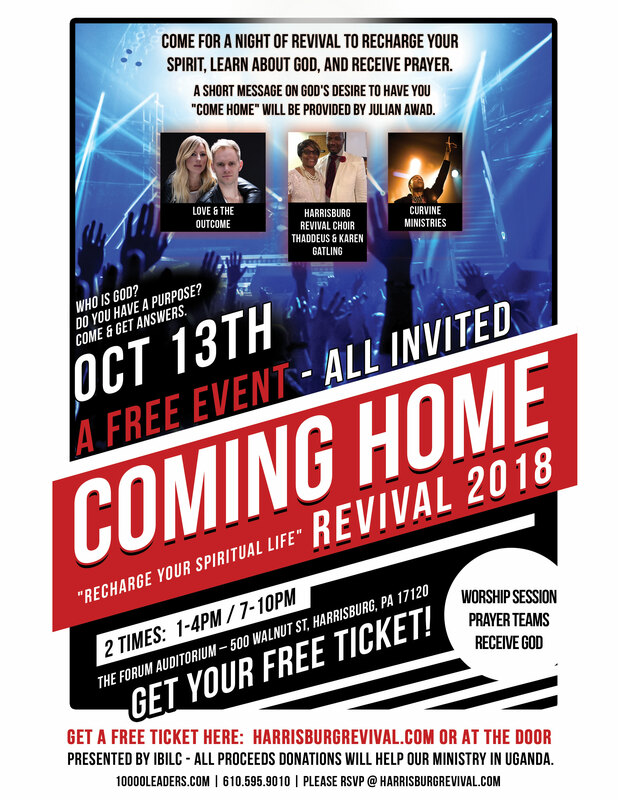 REVIVAL in Harrisburg, PA! Two events on the same day! 1 PM & 7 PM. Both Free. Click “Select A Time” to choose which event.